LocoNav’s GPS tracking devices are AIS 140 certified and gives you the live location of your vehicles. Get hassle free approval from Regional Transport Office all over India within minutes. Our GPS tracking devices comes with SOS emergency buttons so that measures can be taken in case of an emergency. We provide services and installation to re-sellers or end-customer across the entire country. Our AIS 140 devices are ARAI/ICAT approved. We provide these certificates immediately after purchase. Arguably, it can be said that India's economy is too a good extent dependent upon its transportation system. Therefore, it is of utmost importance that India's transportation is ordained to work to its full potential at all times. Taking a step forward in this, the Indian government has come up with an intelligent transport system which is a segment of automotive industry standard AIS 140. Before you know what AIS140 standard has in store for you, it is important to understand what is AIS 140 standard and what are its benefits. What is AIS 140 standard? On 1st April 2018, the Indian government made it mandatory for all the commercial vehicles, either the vehicles with a yellow number plate including public and private transport buses, cabs, taxis and other vehicles that ferry people to get AIS 140 certified vehicle trackers and emergency buttons which will allow vehicle owners to meet all the specifications that revolve around comfort, safety, efficiency and quality of service. This move by the Indian government was applauded by everyone as it will make the commercial vehicles transportation more secure and advanced. As it brings the perfect blend of camera/satellite surveillance, emergency request and vehicle tracking which will benefit the entire chain of transportation: Fleet owners -> drivers -> passengers. What are the benefits of AIS 140? All the category of vehicle mentioned above will be fitted with AIS certified vehicle trackers that will not only ensure safety and comfort but has several other benefits like real-time vehicle tracking, driver behaviour monitoring, cost optimization solutions and many other. All these vehicles will come under the mandate of AIS 140 in which they will be attached with a vehicle tracking server manned by the Indian government. There are some other plans of the Indian government including establishing a host of authorized servers in every city streamlining a number of functionalities. Gaining strength from a cloud-based data storage, vehicle owners can make the most of the real-time vehicle updates coming from a tracking device that is fitted to their vehicles. According to a recent study, fuel costs account for almost 40% of the total cost of fleet operation. 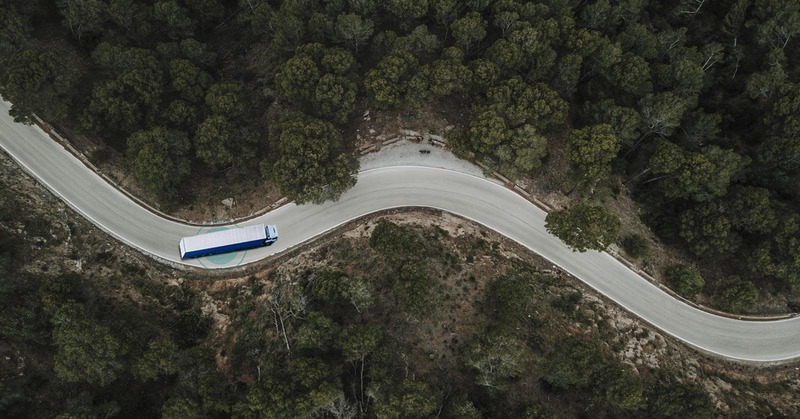 With the help of our fleet management system, fleet owners can reduce the fuel costs by up to 20-30% by optimizing routes. Through Loconav’s fleet tracking system, you fleet owners can have a 360-degree view of your vehicle. In this way, fleet owners would be able to track the location and movement of their vehicles anywhere, anytime with LocoNav’s fleet management system. Efficient management of routes and transport schedules: The AIS 140 GPS device will help you to cut down big on your daily fuel expenditure cost by suggesting the shortest route to reach your destination. A reliable vehicle tracking system: This is by far the most important and significant feature of AIS 140 approved devices. 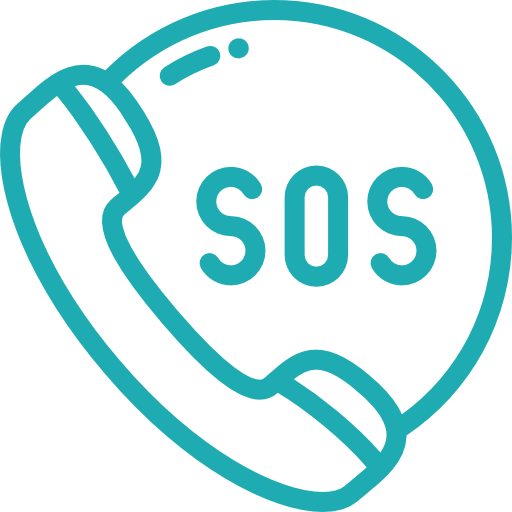 SOS button for crises: The vehicle tracking devices that are AIS 140 complaint comes with an important feature which allows you to activate an emergency button with just a click. Once an emergency information reaches the emergency response server, precautionary measures will soon come to your need. Watch the behaviour of your driver: This feature could be the most important one when it comes to the safety of passengers. You can check the behaviour of your vehicle's driver and keep a track on over-speeding. Tampering alerts: The telematics device will pop up an alert when your vehicle tracking device is being tampered. Vehicle Health advisor: This AIS 140 certification will act as a baromtere for vehicle health inspection. This AIS 140 certified device will be embedded with a vehicle halth monitoring system and diagnostics tool which can ensure the health of your vehicle anytime, anywhere. It can also report about possibilities of wear and tear which can cause transport breakdowns. What are the conditions for a GPS tracker to be AIS 140 certified? All the vehicles that already have a GPS tracking devices need to check whether their devices are AIS 140 certified or not. If not then they need to re-install GPS tracking devices that are AIS certified.The following condition are important for GPS device to be called as AIS 140 certified device. The tracking device to be capable of obtaining real-time location information using Global Navigation Satellite System (GNSS); must include support for GAGAN, Indian satellite-based augmentation system. GPS device to support 4 digital, 2 analogue and 1 serial communication (RS232) for interfacing external systems or peripherals (e.g. an emergency/panic button – SOS buzzer). The device to have an internal battery that supports a minimum of 4 hours’ backup (considering location update frequency at 60 seconds). A device has to have the capability to transmit data to a minimum of 2 different IP addresses; one set of data (PVT data) to the first IP address for regulatory purpose and the second IP address exclusively for emergency request system. Device to transmit emergency events to second IP address reserved for emergency response system. Once pressed, emergency/panic button should initiate an alarm to the configured IP address(s) as per standard. Data transmission frequency from device to be customized, a minimum of five seconds to a maximum of 10 minutes (while in power saver/sleep mode). Device to operate with an embedded SIM (e-SIM). i.e. embedded in GPS tracking device module. The device GPRS module should have a multi-slot GPRS with in-built quad-band GPRS module with a lifespan of at least 10 years and more than 1 million read/write cycles. A GPS device to have an internal antenna; although not mandatory in the case of integrated systems with vehicle/aftermarket OEM approved kits, and if fitment location prevents the internal antenna from functioning. Device to support ‘Over The Air’ (OTA) firmware and configuration updates. The device needs to be dust, temperature, vibration, water-splash resistant preferably IP65 rated or better and tamper-proof. In case there is no reception (GSM and GPRS), alerts are to be stored in the device and as soon as the network becomes available the device will need to be able to send the information on high priority to the configured addresses. Device to support A-GPS (Assisted GPS) and should have a unique IMEI number. It needs to have three-axis accelerometer and three-axis gyroscope for getting the alerts on harsh braking, harsh acceleration, and rash driving. The device must be developed to operate between 8VDC and 32VDC using vehicle battery input voltage range 12/24 volts. These are the major requirements in addition to physical tests conducted by ARAI to make sure devices conform to the standards. How to get your vehicle the AIS certification? In order to get your vehicle AIS certification, you need to fit AIS certified vehicle tracking system in your vehicle or fleet, along with a camera surveillance and emergency request button. It is only because of these devices and gadgets that Indian government would be able to track your vehicles and take precautionery measures in case of an emergency. Now as per the directions, both the existing and upcoming vehicles need to be equipped with GPS tracking sytems and emergency buttons. Is India really ready for AIS 140 implementation? Are there enough providers that give AIS certified GPS trackers? I was initially worried when AIS 140 mandate was passed. But LocoNav helped me to get AIS certified vehicle trackers in my fleet in no time. When AIS 140 certification was passed, I had no option but to put AIS 140 certified vehicle tracking devices in my vehicles. I went with LocoNav and I am very happy with the services. I live in an area where car theft is common. With Loconav and its Vehicle Tracker, I am able to continuously monitor my vehicles. We are bringing together the power of our proprietary technology and wide reach to change India's vehicle landscape. Vehicle owners, Businesses, and Transporters in India are forced to run vehicles with extreme inefficiency and poor security. LocoNav is determined to change that. We are here to enhance your assets. Start tracking them on loconav.com!